Table 1. Studies reporting ALDFG in Brazil. Brazil has a strong tradition in fisheries and is consequently affected by the impacts of this activity. Fishing-related debris, as abandoned, lost or otherwise discarded fishing gear (ALDFG) is an example of indirect impact. While reports on ALDFG are becoming more frequent worldwide, Brazil is still deficient in this information. The main objective of the present study was to review the knowledge on ALDFG in the country, as a contribution to the management of marine debris from fishing. The study also sought to investigate the number of scientific studies that report ALDFG, what sites were sampled and what are the knowledge gaps in this subject. An extensive literature review was carried out to obtain detailed information. Thirty-two studies were obtained from different fields of research reporting the presence of ALDFG in Brazil, with only nine focusing specifically on this topic. The most recorded items were nets, ropes and fishing lines found on beaches, submerged in coastal areas and in oceanic islands. The reports of ALDFG covered 12 of the 17 Brazilian coastal states, with significant presence of debris within protected areas. Overall there were few studies on the subject in Brazil. There are knowledge gaps regarding ALDFG in regions with depths greater than 45m and distant 12 nautical miles from the coast, and regarding indirect impacts of ALDFG, such as habitat changes. Thus, more studies and actions are needed to minimize the occurrence of ALDFG in Brazil and to guarantee its inclusion in monitoring and management actions of protected areas. Improper waste disposal is currently a serious problem. Debris at sea, for example, threaten marine ecosystems worldwide. One type of debris found in the oceans that has caused great concern across the globe over the last decades are the debris that originate from fishing activities. Abandoned, lost or otherwise discarded fishing gear (FAO, 2009; Laist, 1997), known as ALDFG or ghost gear, are common in fishing operations, regardless of category. The most commonly found types of ghost gear are nets, lines, fishing rods, hooks, ropes, traps, among others (Fig. 1). When these items are in the sea, they can potentially cause serious ecological and socioeconomic problems. Examples of abandoned, lost or otherwise discarded fishing gear, Arvoredo Marine Biological Reserve, Brazil. (A) Ghost nets and ropesropes; (B) fishing line; (C) fishing lead; (D) anchor; (E) hook-and-line (Photos A–D: Jessica Link; Photo E: Edson Faria Júnior). The vast majority of academic studies worldwide regarding debris at sea, from the 1960s to the present, report the presence of some sort of fishing gear as marine litter. The growing concern about ALDFG in relation to other types of debris at sea is due to the additional impacts they provide. Some ALDFG can perform “ghost fishing”, which is characterized by the ability of the gear to continue fishing after they are no longer being controlled (Smolowitz, 1978). Ghost fishing is one of the most significant impacts of ALDFG and is highly specific due to a number of factors. These include how the material was abandoned, lost or otherwise discarded, the type of gear, and local environmental conditions, especially regarding currents, depth and location (FAO, 2016). The main direct effect of ghost fishing is the mortality of organisms that become entangled by ALDFG, especially nets. Indirect effects of ALDFG include accumulated catches. Organisms that become trapped in ALDFG can attract other species, especially detritivores. In turn, these organisms also become entangled in the gear, characterizing a process known as cyclic fishing (Fig. 2). Odors are released when detritivores feed, which increases the attraction of other individuals to ALDFG. Some of these detritivores are caught and eventually decompose, providing a continuous source of “bait” until the ALDFG loses its fishing efficiency. This cyclic fishing may increase the efficiency of ghost fishing for some species (FAO, 2010; Gilman et al., 2013), while others are repelled by the presence of dead individuals of the same species (Breen, 1990; FAO, 2016). The indirect effects of ALDFG are similar to the environmental impacts generated by debris at sea in general, such as ingestion, dispersion of exotic organisms and species, changes in habitats and introduction of synthetic material into the marine trophic network (Fig. 3). Examples of entanglements and ingestion of ALDFG. (A) Fish tangled in a ghost net, Arvoredo Island, Brazil (Photo: Daniel Pohl). (B) Dead crab in ghost net (Photo: Jéssica Link). (C) Crab tangled in ghost net, Arvoredo Marine Biological Reserve, Brazil (Photo: Edson F. Junior). (D) Dead moray due to ingestion of fishing gear, Arvoredo Island, Brazil (Photo: Jessica Link). Examples of impacts of ALDFG on benthic organisms. (A) Tubastrea spp., an invasive coral species in the Atlantic Ocean, trapped in a ghost net in Búzios Island, SP (Photo: Daniel Pohl). (B) Fishing line coiled around an octocoral (Leptogorgia punicea). (C) Calcareous algae growing on a piece of ghost net, Arvoredo Marine Biological Reserve, SC (Photos: Jessica Link). Brazil has about 8500km of coastline, most of which is located within tropical and subtropical regions (CNIO, 2012). Brazilian marine ecosystems have suffered over the years great pressure from fishing activities. The intense exploitation and increased efforts on already collapsed fishing resources brings direct and indirect impacts. Therefore, the objective of this study was to perform a review of the knowledge on ALDFG in Brazil, identifying the number of scientific studies that report fishing-related debris, which sites have been sampled and what are the knowledge gaps in this subject. An extensive literature review of scientific papers, reports, thesis and dissertations was carried out to obtain detailed information about ALDFG in Brazil. The keywords used were marine debris, fishing debris, ALDFG, ghost nets, ghost fishing, and ghost gear. These were associated with the keywords tangled, ingestion, plastic, transport, drift, exotic species, new habitat, and impact. These words also refer to the impacts that ghost fishing gears can provide. The search was then followed by a search for various publications that regarded ghost fishing directly or indirectly. The references obtained were filtered and analyzed for the purpose of greater reliability and robustness of the information. We used bibliographic search sites, Google academic, Web of Science and SCOPUS, made available by the CAPES Portal. In Brazil, the substitution of natural fiber for synthetic material in fisheries occurred slowly and gradually, due to the traditional nature of the fisheries practiced and the prices of these new synthetic materials from developed countries. However, this scenario changed in the 1960s with the emergence of two national companies (Equipesca and Mazzaferro) that produced nets, lines and accessories for industrial, recreational and artisanal fisheries, mainly mono and multifilamentary lines made of synthetic material (polymer). The introduction of fishing gear made from synthetic material (polymer) manufactured in Brazil allowed a rapid expansion of fishing activities in the country. In the 1970s, national fish production boosted due to tax incentives from the Superintendency of Fisheries Development (SUDEPE) and to a drop in the costs of supplies for the activity, since raw material was more resistant than the natural fiber used previously (Diegues, 1983). Industrial/commercial fishing peaked in the 1970s but experienced a serious crisis in the 1980s. One of the main causes of this crisis was the rapid and intense overfishing of shrimp banks and some fish species, as well as the economic recession which limited the contribution of financial resources that were easily obtained by companies. Environmental impacts from fisheries began to be observed with the crisis of the 1980s, which led to a decline in fish stocks across the country due to intense overfishing. However, the number of vessels in the water and fishing efforts continued to increase, and consequently, so did the amount of debris generated by this activity. The first records of fishing-related debris on the Brazilian coast started in the 1990s (e.g. Wetzel, 1995; Pianowski et al., 1997) in marine litter surveys on beaches. Beaches of great ecological importance for sea turtle nesting in the country were also shown to present fishing gear (e.g. Ivar do Sul, 2005; Mascarenhas et al., 2008; Barbosa, 2013). Ivar do Sul (2005) recorded 225 fishing gear items, 74% of which consisted on ropes of various sizes and 11% were luminous attractors. Luminous attractors are composed mainly of transparent polystyrene tubes with commercial chemiluminescent substances, used mainly in longline fishing. Studies on the ingestion of debris by organisms also revealed fragments of fishing gear in stomach contents. All turtles and 40% of seabirds found along the beaches in the state of Rio Grande do Sul in the study by Tourinho et al. (2009) ingested debris, with plastic being the main type of material ingested. Among the plastic items found, 21% were related to fishing activities, of which lines were the most frequent type of gear, accounting for 11% of this total (Tourinho et al., 2009). Macedo et al. (2011) reported nylon (polyamide) lines from nets, ropes and lines used in fisheries among 60% of necropsied turtles. In the stomach contents of some species of fish present in estuaries, the main contamination was by nylon fragments from fishing (e.g. Possatto et al., 2011; Dantas et al., 2012). Possatto et al. (2011) reported that the ingestion of these fragments probably occurred during fish feeding activity. Since the species present epibenthic feeding behavior, it is likely that nylon fragments were dispersed over the sediment. There was also a record of ghost fishing, as one fish (Cathorops agassizii) was caught still alive in the estuary, trapped in a fragment of nylon monofilament net. In the case of the Goiana Estuary, state of Pernambuco, fishing was found to be responsible for a significant part of the debris, especially plastic items, found on sandy beaches, mangroves and the main channel. The physiological effects of nylon on these fish cannot be easily predicted, but it is well known in other animals. When transporting plastics in their digestive tracts, a series of internal lesions, such as tumors and the false sense of satiety occur, which reduces feeding and can kill the animal by starvation. Moreover, weak or injured animals become easier and less nutritional prey (Possatto et al., 2011). Nets, ropes and lines are examples of plastic fishing gear. In the degradation of plastic, there are two additional problems: (i) microplastics, small fragments smaller than 5mm; and (ii) nanoplastics, fragments smaller than 1.6μm in diameter (UNEP, 2016). Due to their small size, very small organisms, such as plankton, may feed unintentionally on micro and nanoplastics, which inserts this material into the trophic network. In addition to the problem of inserting synthetic material that is not degraded by organisms into the food web, there are also problems from a toxicological point of view. Plastics absorb and concentrate chemicals present in the water, as well as persistent, bioaccumulative and toxic contaminants (PBTs) introduced during manufacturing to increase the durability of the material. There are reports that PBTs have a variety of negative impacts, such as immunological, reproductive, teratogenic, carcinogenic and neurological effects (FAO, 2017). Studies reporting underwater debris began in the 2000s in Brazil. The Reef Check protocol was applied by Ferreira and Maida (2006) as part of the survey program of the United Nations Global Coral Reef Monitoring Network and had the objective to investigate the health of reef ecosystems. One of the indicators used in the underwater survey is the presence of debris, classified as: plastic, glass, metal, others and fishing-related. Gears like nets, lines and hooks were the main items found in Fernando de Noronha, in Tamandaré and Maragogi – Coral Coast, state of Pernambuco, and in Parcel das Paredes and Parcel of Abrolhos, state of Bahia. Gear was found even in some areas where fishing is restricted. In the Todos os Santos Bay, state of Bahia, underwater visual censuses were conducted regarding submerged solid waste in three rocky shore sites (Carvalho-Souza and Tinôco, 2011). The most frequently found items were plastic, wood, metal and fishing gear, mainly nets, nylon lines and fishing lead. According to the authors, these residues are an indication of high concentration of artisanal fishing in the locality, with lack of best practices for directing waste generated by the local community and fishermen. Moreover, these fishing gears were found frequently wrapped around the hydrocoral Millepora spp., causing damages to colonies. On the island of Arvoredo, Santa Catarina State, ropes, anchors, tires and fishing lines were reported during an underwater sampling effort (Machado and Fillmann, 2010). Fragments and parts of expanded polystyrene (EPS foam) were found at the surface, which are used as floats for nets and in thermal boxes for food and fish storage. The presence of debris was also reported within the limits of the Rocas Atoll Biological Reserve, a Brazilian oceanic island, where fishing activity is prohibited (Soares et al., 2011). Sampling was carried out by means of free-diving and walks over the reef plateau during low tides and over the sandy islands. Debris composed of plastic, metal, glass and cardboard were observed in addition to nylon lines, which originated from fishing. The first record of studies with a specific focus on ALDFG and ghost fishing in Brazil was from 2009 (Fig. 4). The first scientific study on the subject was an evaluation of the occurrence of lost fishing gear in the shallow waters of the northern coast of the state of Santa Catarina and southern portion of the state of Paraná (Chaves and Robert, 2009). In the first part of the study, spontaneous reports were collected from small-scale professional fishermen regarding the loss of fishing nets. In total, 25 loss events (partial or full) of bottom gillnets were reported due to collisions with active fishing gear. In the second stage, the authors collected data from six beaches and recorded 121 events, which included fragments of nets, plastic floats and EPS foam, ropes and signaling buoys for fixed nets. Most net fragments were tangled in twigs, logs or other plant forms, which favored transference to the beach. Moreover, the authors also recorded bivalve mollusks (Mollusca, Mytilidae) and barnacles (Crustacea, Cirripedia) encrusted on the nets, while buoys and floats presented Cirripedia. Crabs (Crustacea, Portunidae) were also observed entangled in nets. Timeline of Brazilian scientific studies focusing on ALDFG. In order to identify the causes, occurrences and impacts of ghost fishing, Adelir-Alves (2013) analyzed 28 rocky reefs in the northern coast of the state of Santa Catarina. The study included fishermen's reports that worked aboard boats and fishermen that conducted underwater fishing, and observations on the occurrence of ALDFG by means of scuba diving at depths between 1 and 25m. The author found that bottom gillnets were the most easily lost items, usually during winter months, due to bad weather conditions, with greater fishing effort toward Mugil spp., Pomatomus saltatrix, Micropogonias furnieri, and the occurrence of whales (Eubalaena australis), occasionally leading to accidental entanglement. Other factors reported for the loss of ALDFG in Santa Catarina were the accidental removal of gears by other vessels, unskilled handling of fishing equipment by recreational fishermen, entanglement of large fish and presence of plant debris (such as logs and tree branches). Twelve types of ALDFG were found by means of scuba diving, with gillnets featuring as the most frequent. The ghost nets found presented 32 entangled individuals belonging to 12 species (eight teleosts and four crustaceans). Adelir-Alves (2013) also developed an experiment simulating ghost fishing with a specific fishing gear (gillnets) at a depth of 12m. The purpose was to understand the changes the net would experience over a period of 92 days, and the forms of capture it would present. The author observed a progressive decrease in fish catch after the 30th day, followed by an increase in the catch of crustaceans. ALDFG has also been collected by means of scuba diving from marine protected areas (MPA) in the state of São Paulo with the objective of understanding the origin, purpose, composition and quantification of this form of debris. The sites sampled were the Laje de Santos Marine Park, the Xixová-Japuí Park, and the Tupinambás and Tupiniquins Ecological Stations (Fortuna et al., 2012). Approximately 1000kg of ALDFG were collected and were classified as being used mainly in recreational and artisanal fishing. The collected ALDFG were composed of 60% synthetic polyamide monofilament polymers for gillnets, longlines, and rod and pole fishing, 10% polyethylene for the upper (headline) and lower (leadline) parts of gillnets, and 30% polypropylene used as a cable to moor vessels and steel ropes (100kg) used in industrial trawling. Still regarding MPA in the state of São Paulo, ghost gears have also been quantitatively characterized by means of scuba diving Gomes 2014. The sites sampled were the Queimada Grande and Pequena Islands Area of Ecological Interest, the Laje de Santos Marine Park and the Tupinambás Ecological Station (Alcatrazes Island). A total of 260kg of ALDFG was removed, which originated from recreational, artisanal and industrial fishing. A surface longline used in artisanal fishing was found performing ghost fishing, holding some live animals trapped in its hooks and other animals in deterioration processes, such as turtles, fish and sharks. In the Arvoredo Marine Biological Reserve, in the state of Santa Catarina, a MPA of maximum restriction, that is, where fishing is prohibited, an ALDFG survey was carried out also by means of scuba diving between 3 and 28m in depth. The researchers developed a protocol for the categorization of ALDFG due to the absence of a protocol for the South Atlantic. Ten types of ghost gear were identified, the most frequent of which were lines, nets and ropes. A total of 182 fishing gear items were found over the course of 11h and 32min of active search. The data obtained were correlated with the infraction notices provided by the local managing body, which showed that the origin of the ghost gear was mainly from illegal fishing practiced in the area. The main groups of organisms associated with ghost nets were hydrozoans, fleshy algae, biofilm and bryozoans. Ghost fishing was also recorded, mainly in cases of entanglement of crustaceans in nets, which affected a total of eleven crab individuals (nine Damitrax spp., one Stenocionops spp. and one Cronius ruber), and also entangled octocoral (Leptogorgia punicea) (Link et al., 2017). Ghost fishing has also been reported by Santos et al. (2012) in the Brazilian oceanic islands of Fernando de Noronha and the Rocas Atoll, which are both MPA. Between 1996 and 2011, 18 olive turtles (Lepidochelys olivacea) were found entangled in ghost nets (16 still alive and 2 dead) of a total of 20 individuals observed. Of these 20 individuals, 17 were from Fernando de Noronha and 3 from the Rocas Atoll. All nets were multifilament, with meshes of 17–22cm (stretched mesh). The origin of these nets was unknown to the authors, but the researchers inferred that ocean currents could have had a strong influence on these two regions, displacing these gears in the sea. Scuba diving is an effective tool for prospecting ALDFG in shallow water (up to 40m). However, the method has some limitations, especially in areas of greater depth and restricted visibility. Thus, Casarini et al. (2011) explored new alternatives for prospecting ALDFG using geophysical instruments. In the Xixová-Japuí Park, state of São Paulo, seafloor surveys were carried out to prospect fishing gear using side-scan sonar. The authors detected 76 anomalies, at an average depth of 6m, over an area of 86,000m2. These anomalies were then investigated by means of scuba diving, which showed a low incidence (<5) of ALDFG, with predominantly artisanal fishing gear. In order to test acoustic and digital imaging techniques to detect and identify ALDFG, Costa et al. (2014) used side-scan sonar surveys at frequencies varying from 455kHz to 990kHz coupled with a towed underwater camera. The sites sampled were two MPA in the state of São Paulo, the Laje de Santos Marine Park and the Tupinambás Ecological Station. While no acoustic anomalies were identified as large fishing gear (>15m), there were a few minor targets. These minor targets could not be confirmed by diving and were interpreted as parts of nets and ropes by the authors. Costa et al. (2015) conducted another study with the objective of mapping ALDFG through acoustic and digital imaging using two side-scan sonar models at different frequencies (990kHz and 455kHz) and a tow wing called GHost coupled to a digital camera. Four MPAs were mapped, three in the state of São Paulo and one in the state of Santa Catarina, comprising 236ha. The depths analyzed ranged from 5m to 45m. The anomalies found were considered as possible ALDFG. Factors cited as limitations in acoustic imaging and image acquisition with the towed camera were: sea agitation, depths beyond 35m due to signal loss, reduced visibility, and side-scan sonar settings. Further studies and improvements are still needed in this area of research for the detection of ALDFG. ALDFG began to be reported in Brazil in studies regarding debris surveys in beach environments in the 1990s. In all, there are 32 studies that record the presence of ALDFG along beach strips, submerged in coastal areas, in oceanic islands and in cases of entanglement (Table 1). Studies reporting ALDFG in Brazil. 2012 Fortuna et al. SP Gillnets; longline; fishing rod; ropes; steel ropes (used by industrial trawling) Emphasis on ALDFG Laje de Santos Marine Park; Xixová-Japuí Park; Tupinambás and Tupiniquins Ecological Station. Most studies that address debris on beaches, in the sea, or involved in entanglement and ingestion, still do not consider fishing gear as a separate debris classification category. They commonly classify debris only according to the type of material, such as plastic, metal, glass, among others, which made it impossible to know if among the debris found in some studies there were fishing gear. Therefore, it is possible that the description presented herein represents an underestimation due to this limitation. When it was possible to identify ALDFG among the types of recorded debris in the studies analyzed, they were generally classified either within the category of plastics (e.g. nylon lines) or as fishing-related debris. Studies focusing on underwater debris began in the 2000s and debris from fishing activities were found in all categories applied for the marine litter collected in these research efforts. Of the 32 studies with reports of fishing gear, only 9 focused on ALDFG. These studies only started from 2009 onwards, each following different methodologies, such as fishermen's reports, beach surveys, analysis of entanglements, direct observation through autonomous dives, and remote surveys of the seafloor at depths of up to 45m. An important aspect regarding studies that report fishing gear associated with entanglement and ingestion is that, although relevant, these are not direct measures of the impact of ALDFG, since in many cases it is not possible to identify if entanglement or ingestion happened with a ghost gear or with an active fishing gear. ALDFG reports covered 12 of the 17 Brazilian coastal states (Fig. 5), and in most studies (23) the focus was not on this type of marine debris. Thus, the presence of ALDFG along the Brazilian coast in different environments, from beaches to submerged areas, is evident. The studies found that focused on ALDFG concentrated in only two coastal states, São Paulo (SP) and Santa Catarina (SC). These results suggest a poor representation of ALDFG presence in Brazilian coastal ecosystems. We found a concentration of sampling effort in Marine Protected Areas (Table 1). This is probably related to monitoring objectives of MPA staff. However, the impact outside MPAs is unknown and can indirectly threaten marine biodiversity inside MPAs. Furthermore, ALDFG quantification is lacking in most coastal regions of the country, where fishing activities have been intense, such as the Northeast coastal states (IBAMA, 2007). This is a worrisome scenario, since this area represents the most prolific reef systems in Brazil, and ALDFG can have a huge impact on these habitats (REFS). Also, the lack of reports of ALDFG in non-coastal environments, such as rivers, lakes, ponds, dams, where fishing also occurs, was also noted. Distribution of ALDFG reports in the scientific studies analyzed. The most recorded types of ghost gear in the studies analyzed were nets, ropes and lines. Most ALDFG found were characterized as gears used in artisanal fishing, which could be either legal or illegal depending on the study site. This factor can be explained mainly due to the places where these studies were carried out: predominantly coastal areas, depths not reaching more than 45m, places where artisanal fishing occurs with greater intensity. Thus, there is a gap of knowledge regarding depths beyond 45m and the contribution of industrial fishing in the generation of ALDFG, which is mainly due to the difficulty of studying offshore regions (12 nautical miles away from the shoreline), where industrial fishing is more frequent. For example, schools of fish are located through satellites and using sonars that emit sound waves that reach up to 1000m in depth (Vieira, 2008). Studies on habitat alterations by ALDFG are also absent, such as changes in rocky shore benthic habitats, marine grasses, rhodolith banks and coral reefs. Another clear and worrying factor in the studies analyzed is the significant presence of ALDFG within protected areas. Thus, the issue of ALDFG should be immediately regarded within monitoring and management actions of protected areas. The lack of knowledge on ALDFG in Brazil may be reflected in the scarcity of national initiatives for mitigation. Therefore, further studies should be conducted on the subject, such as surveys, quantification, impact assessment, contribution of different fishing and industrial sectors in the generation of ALDFG and in different depth ranges, with the objective of assisting in the elaboration of mitigation strategies for ALDFG along the Brazilian coast. ALDFG mitigation strategies should involve the allocation of resources for research, creation of resolutions, public policies, legal norms, and actions for prevention and remediation of ALDFG. A worsening factor for Brazil is the disorganization of fishing activities, which substantially increases the presence of ALDFG. Thus, there is an urgent need in the country to direct efforts toward creating and applying participatory fisheries management actions and fisheries control. We thank T.C. Borges for constructive criticisms that greatly improved this manuscript; G. Colobiale for providing key information regarding ALDFG materials and E.F. Júnior and D. Pohl for kindly providing some images. Pesca fantasma em recifes rochosos no estado de Santa Catarina: causas, ocorrência e impactos (Graduate Program in Ecology of Tropical Aquatic Systems thesis). Resíduos sólidos em praias do litoral sul de Pernambuco: origens e consequências (Master of Science thesis). Graduate in Oceanography of the Federal University of Pernambuco, Recife, PE. Classificação do lixo presente em área de reprodução de tartarugas marinhas em praias do litoral da Paraíba, Brasil (Undergraduate thesis). Bachelor's Degree and Full Degree in Biological Sciences of the State University of Paraíba, Campina Grande, PB. Lixo e Pesca Fantasma no Baixo São Francisco, Alagoas. Subsidies for Coastal Management and Education. Integrated Academic Congress of Innovation and Technology. A review of ghost fishing by traps and gillnets. Avaliação do Lixo no mar em Costões Rochosos na Baía de Todos os Santos, Bahia, Brasil. L.M. Casarini, M.B. Campolim, L. Castilho-Barros, R. Graça-Lopes, M.D. Fortuna, J.E.A. Mello-Junior, D.C.A. Scola. Avaliação dos petrechos de pesca recolhidos em unidades de conservação. Extravio de petrechos e condições para ocorrência de pesca-fantasma no litoral norte de Santa Catarina e sul do Paraná. CNIO, 2012. O Brasil e o Mar No Século XXI, 2nd ed. Niterói – RJ, vol. 2. 540 pp. J.A. Costa, L.P. Gomes, J.E. Mello-Junior, L.M. Casarini. Imageamento em fundo marinho raso para prospecção dos petrechos de pesca perdidos. J.A. Costa, L.P. Gomes, M.D. Costa, J.E. Mello-Junior, L.M. Casarini. Mapeamento do fundo marinho e detecção de petrechos de pesca perdidos em Unidades de Conservação. 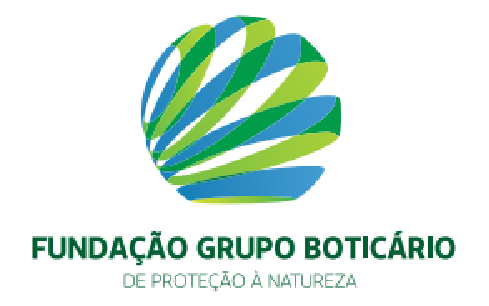 Brazilian Protected Areas Congress 1–5. D.V. Dantas, M. Barletta, M.F. Costa. The seasonal and spatial patterns of ingestion of nylon polyfilament fragments by estuarine drums (Sciaenidae). FAO, 2017. Microplastics in fisheries and aquaculture: status of knowledge on their occurrence and implications for aquatic organisms and food safety, Fisheries and Aquaculture Technical Paper. v. 615, Rome, Italy. FAO, 2016. Abandoned, lost or otherwise discarded gillnets and trammel nets: methods to estimate ghost fishing mortality, and the status of regional monitoring and management. Technical Paper Fisheries and Aquaculture, Rome, Italy. vol. 600, 79 pp. FAO, 2010. The state of world fisheries and aquaculture, Food and Agriculture Organization of the United Nations. Fisheries and Aquaculture Technical Paper, Rome, Italy, p. 218, doi:92-5-105177-1. FAO, 2009. Abandoned, lost or otherwise discarded fishing gear, Fisheries. Ed. Technical Paper Fisheries and Aquaculture, Rome, Italy, vol. 523, 115 pp. M.A. Fortuna, M.B. Campolim, L.M. Casarini, J.E.A.M. Júnior. Mitigação e Prevenção dos Impactos Causados pelos Petrechos de Pesca Perdidos no Mar em Unidades de Conservação. Brazilian Congress Protect Areas. Mitigação e Prevenção dos Impactos Causados pelos Petrechos de Pesca Perdidos no Mar em Unidades de Conservação. Brasília – DF. E. Gilman, P. Suuronen, M. Hall, S. Kennelly. Methods to estimate causes and cryptic sources of fishing mortality. L.P. Gomes, J.A. Costa, J.E.A. Mello Junior, L.M. Casarini. Caracterização dos Petrechos de Pesca Removidos das Unidades de Conservação no Litoral do Estado de Sao Paulo..
Brasil: grandes regiões e unidades da federação. Report. Lixo no mar na Área de Desova de Tartarugas Marinhas do Litoral Norte da Bahia: consequências para o meio ambiente e moradores locais (Undergraduate thesis). Federal University of Rio Grande (FURG), RS. Avaliação da Composição do Lixo Marinho Oriundo da Pesca Artesanal de Arrasto de Fundo do Litoral do Paraná. 57 f (Undergraduate thesis). Technology in Environmental Chemistry. Impacts of marine debris: entanglement of debris in marine life including comprehensive list of species with entanglement and ingestion records. J.T. Link, B. Segal, L.M. Casarini. Petrechos de Pesca Abandonados, Perdidos ou Descartados na Reserva Biológica Marinha do Arvoredo, SC. G.R. Macedo, T.T. Pires, G. Rostan, D.W. Goldberg, D.C. Leal, A.F. Garcez Neto, C.R. Franke. Anthropogenic debris ingestion by sea turtles in the northern coast of Bahia, Brazil. Estudo da Contaminação por Resíduos Sólidos na Ilha do Arvoredo: Principal Ilha da Reserva Biológica Marinha do Arvoredo (RBMA), SC. R. Mascarenhas, C.P. Batista, I.F. Moura, A.R. Caldas, J.M.D. Neto, M.Q. Vasconcelos, S.S. Rosa, T.V.S. Barros. Lixo no mar em área de reprodução de tartarugas marinhas no Estado da Paraíba (Nordeste do Brasil). R.C. Neves, L.A.S. Santos, K.S.S. Oliveira, I.C.M. Nogueira, D.V. Loureiro, T. Franco, P.M. Farias, S.N. Bourguinon, G.M. Catabriga, G.C. Boni, V.S. Quaresma. Análise Qualitativa da Distribuição de Lixo na Praia da Barrinha (Vila Velha – ES). Quantification and classification of marine litter on beaches along Armação dos Búzios, Rio de Janeiro, Brazil. F. Pianowski, K. Smith, G. Fillmann. Resíduos sólidos e esférulas plásticas nas praias do Rio Grande do Sul – Brasil. L. Portz, R.P. Manzolli, J.A. Ivar do Sul. Marine debris on Rio Grande do Sul north coast, Brazil: spatial and temporal patterns. F.E. Possatto, M. Barletta, M.F. Costa, J.A. Ivar do Sul, D.V. Dantas. Plastic debris ingestion by marine catfish: fisheries an unexpected impact. Poluição por Resíduos Sólidos no Baixo São Francisco, Nordeste do Brasil. Salvador BA. A.J.B. Santos, C. Bellini, L.F. Bortolon, R. Coluchi. Ghost nets haunt the olive ridley turtle (Lepidochelys olivacea) near the Brazilian Islands of Fernando de Noronha and Atol of the Rocas. Diagnóstico dos Resíduos Sólidos na Praia de Boa Viagem (thesis). J.S. Silva-Cavalcanti, M.C.B. Araujo, M.F. Costa. Medium-term patterns and trends of solid waste contamination on the beach of Boa Viagem, Northeast Brazil. E.M. Silva, E.M. Calazans, J.S. Liro, C.L.S. Sampaio. Caracterização dos Resíduos Sólidos na Praia do Francês, Litoral Sul de Alagoas. Integrated Academic Congress of Innovation and Technology. Trap design and ghost fishing: an overview. M.O. Soares, D.C. Paiva, T. Godoy, M.D.B. Smith. Atol das Rocas (Atlântico Sul Equatorial): Um caso de Lixo no mar em Áreas Remotas. P.S. Tourinho, J.A. Ivar, G. Fillmann. Is marine debris ingestion still a problem for the coastal marine biota of southern Brazil?. Marine Plastic Debris and Microplastics – Global Lessons and Research to Inspire Action and Guide Policy Change. United Nations Environment Programme, Nairobi. Panorama da Pesca Industrial no Brasil com Ênfase em Santa Catarina (Undergraduate thesis). Contaminação de Resíduos Sólidos e Piche. Uma perspectiva da Praia do cassino, Município do Rio Grande, RS (Undergraduate thesis).